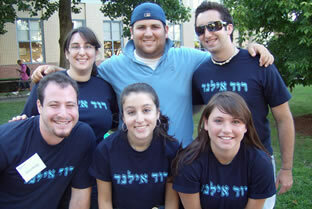 Every so often a new actor or actress becomes the go-to favorite of the moment for Jewish Young Adults. 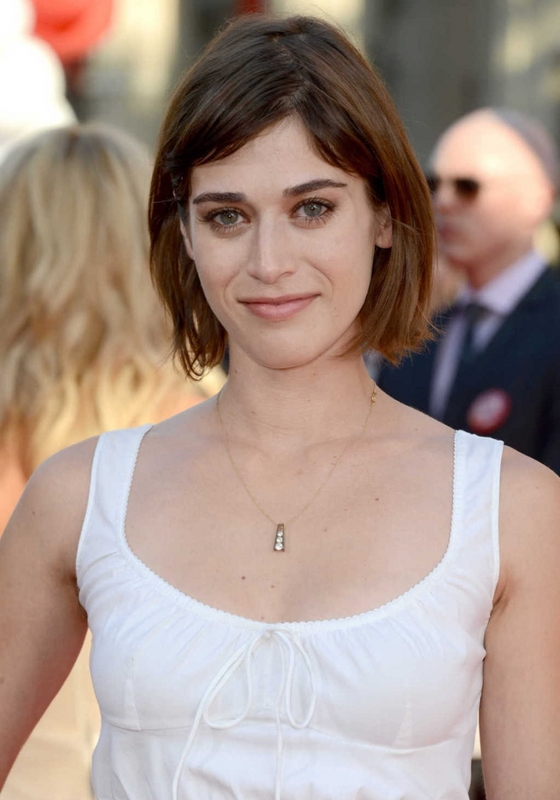 Like Kat Dennings and Bryan Greenberg, the new it-girl for JYAs is Lizzy Caplan. An admitted Reform Jew, Caplan has been performing for over a decade, but only recently has she truly achieved mass appeal and exposure. Now she is everywhere, in wide release movies and all over your television screen. Caplan has it all, the personality, the sense of humor, and the looks. Female JYAs love Caplan because they think they are like her. Male JYAs love Caplan because they think they can get her. Unfortunately both cases are unrealistic. 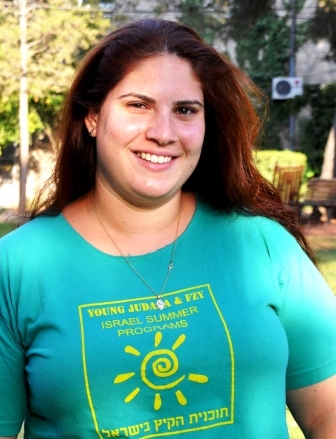 But that doesn’t stop JYAs from rooting for Caplan’s continued success, and we wish her all the best as well. Jewish Young Adults have a tendency to dance in circles. If you’ve ever been to a friend’s bar mitzvah, your cousin Rachel’s decked out wedding, or grandpa Moshe’s birthday party at the local deli, then you know that at some point in the night (or two or three) you will end up dancing with the entire crowd in multiple circles, one wound around the other. You’re probably thinking that this “circle dance” is a relic from Jewish Elders’ generation. It is, but you wouldn’t know it; because Jewish Young Adults of today have adopted it as their own and have been spotted embracing the culturally symbolic dance on many an occasion. Some quick history. 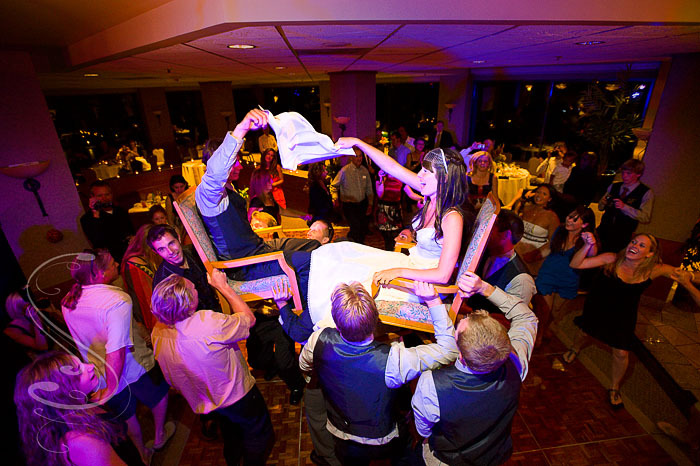 This riveting Jewish party staple has been around for over 100 years, is actually called “The Hora” and is typically danced to the melody of “Hava Nagila,” which is Hebrew for “Let us rejoice.” Typically, one would a) stand in a circle holding hands b) follow the circle as it rotates c) step to the side, passing your left foot behind your right d) GRIN WIDELY e) move toward the center of the circle and throw your hands (still holding onto the people next to you) in the air! (BEST part) f) repeat multiple times. You will smile like it’s the best day of your life (it might be). You will briefly love ALL of your relatives. You’ll feel the adrenaline akin to a 2-hour work out. The JYA’s will be clapping and dancing the hardest. Mention the word “Brooklyn” to any Jewish Elder and they get a wistful look in their eye, remembering decades past when they strolled the streets of Flatbush, Brighton Beach, and Coney Island. Mention “Brooklyn” to Jewish Adults and they think about the religious areas of Crown Heights and Borough Park. But when you mention “Brooklyn” to a Jewish Young Adult, you get a sense of determined pride. Why? Because JYAs are out to Reclaim Brooklyn. 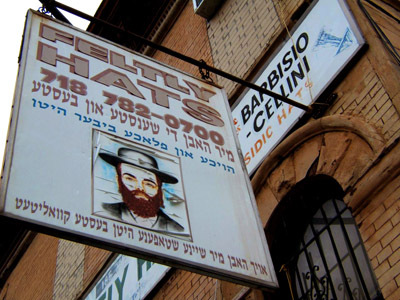 Brooklyn has always had a sizable Jewish influence. According to records, between a quarter to a third of the area has been Jewish ever since the mid 19th century. In fact, according to city records, by 1924 Brooklyn (which then included some parts of Queens), had the largest Jewish population of any community in the world. But somewhere from the Sixties and through the Nineties, Brooklyn lost it’s edge, and JYAs turned to cooler up-and-coming areas like LA or SF. 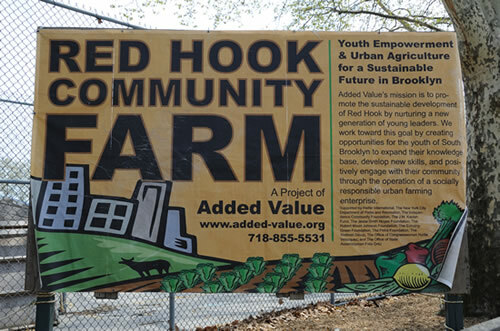 But in the past decade, JYAs have decided to take a united stand to make Brooklyn hip again, moving in droves to neighborhoods where Jewish Elders and Jewish Adults never ventured. Areas like Bushwick, Bed-Sty, Carrol Gardens, and Park Slope are the new stomping grounds for the uber-hip Jew scene. Forget the Upper West Side or Murray Hill, if you want other JYAs to take note of you, move into a converted loft in Gowanus or Red Hook and start your own underground Jewish-themed micro-brewery. And it also helps that Jay-Z is from there. Move over Shia LaBeouf, there is a new hottie in town. 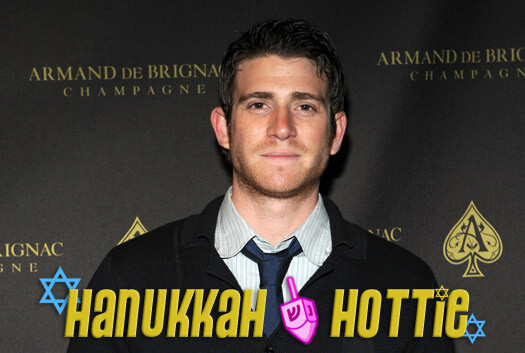 The newest idol to claim the hearts and minds of Jewish Young Adults is Bryan Greenberg. Greenberg has recently made a place for himself from his starring role as JYA Ben Epstein in the HBO cult favorite How To Make It In America. He started his acting career at Camp Herzl, playing Joseph in the summer camp production of Joseph and the Technicolor Dreamcoat. Since then his status has slowly grown, and is now ripe for the picking. JYA females love Greenberg, for all of the obvious reasons. On the one hand he is perfect to bring home to the parents, and on the other hand he is just edgy enough to be considered a “Non-Stereotypical Jew”, which is always an immediate draw. Even the character he plays, Ben, is a designer for high end jeans. How friggin’ cool is that? Plus he’s easy on the eyes. JYA males love Greenberg because they all think they are like him. Meaning they all pretend they can be as cool as him, and desperately try to act as cool as him. They feel he is someone they can relate to, possibly an alumni member from their AEPi chapter who occasionally visits the campus and buys beer for all the undergrads. The future looks bright for Mr. Greenberg, who’s star will continue to rise as more and more JYAs take notice. Anybody who has ever been to a live sporting event should easily recognize Queen’s arena-rock anthem “We Will Rock You”. It is a song of praise, support, and unfaltering loyalty to your team, sung at the top of your lungs with patriotic fervor. Every country has one of these songs, every club in the English Premier League, and every college basketball team. Recently, over the past couple of years, Jewish Young Adults across the lands have found their own anthem in “I Gotta Feeling”, by the Black Eyed Peas. From mega-bars in Tel Aviv, to wedding receptions in London; from Hillel mixers to your little cousin’s Bat Mitzvah, “I Gotta Feeling” has become the de rigueur theme song wherever JYAs are present. Interestingly, there is no direct correlation between any members of the Black Eyed Peas and JYAs. None of the members of the band are Members of the Tribe, none went on a Birthright trip, and none of them went to the Matzah Ball. Yet their song has resonated with the hearts and booties of JYAs everywhere. One possible explanation for this unprecedented coupling is that the song features references to things all JYAs recognize in the chorus. Specifically, the band makes the dubious rhyme of “Fill up my cup / Mazal Tov”. Such a blatant reference from such a popular non-Jewish band is enough to get the heart of any JYA palpitating. Then, as an additional bonus, singer and it-girl Fergie, belts out a clearly audible “L’Chaim”, which is frequently sung out loud by female JYAs when the song is in the background. Not since 2 Live Jews released “Oy, It’s so humid”, has one song so galvanized JYA culture as “I Gotta Feeling”, leading some to believe that JYAs should get a shout out on Fergie’s twitter feed. We all know that Jewish Young Adults love their snarky t-shirts, and we all know they will go to great lengths and spend freely to get just the right outfit for just the right occasion. But sometimes what is readily available in the stores or on the internet doesn’t quite capture the exact mood or circumstance. What is a JYA to do? Make your own commemorative apparel! Want something to rock at the alumni weekend for your summer camp? 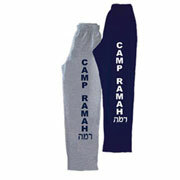 How about some Camp Ramah Sweatpants to keep you toasty by the fire pit! How about showing your pride at orientation at your tiny liberal arts college? A shirt in Hebrew should do the trick! And remember that one summer when you went to Israel with thirty strangers and everybody seemed to be hooking up but you? A nice ringer-t will remind you of those awkward moments for years to come! Whatever the occasion, commemorative apparel can be furnished. Hoodies, t-shirts, even thongs to memorialize rush week from your Jewish sorority a decade ago. For any event, for any possible reason, there is guaranteed to be a JYA out there who has made a shirt for it.